Clinical trials are a vital tool in the arsenal of cancer care. Unfortunately, a common myth persists that clinical trials are a last resort for patients only after other forms of treatment have failed. In fact, participating in cancer care research can benefit patients at any stage of their treatment and may even improve care for future patients. There are trials for all different types and stages of cancer. In our region, lung cancer is the number one cancer diagnosis, with breast cancer at a close second, so many trials at Southcoast address those cancers. For example, immune therapy is a new area of lung cancer treatment, and a study recently began to test it as a first line of treatment with chemotherapy, rather than a second line therapy only. “We try to develop a clinical trial menu that fits our patient population,” explains Dr. Blanchard. Other trials don’t deal directly with treatment therapies, but instead address prevention and supportive care. Participation in a trial requires a doctor’s approval, but it’s ultimately the patients’ decision. 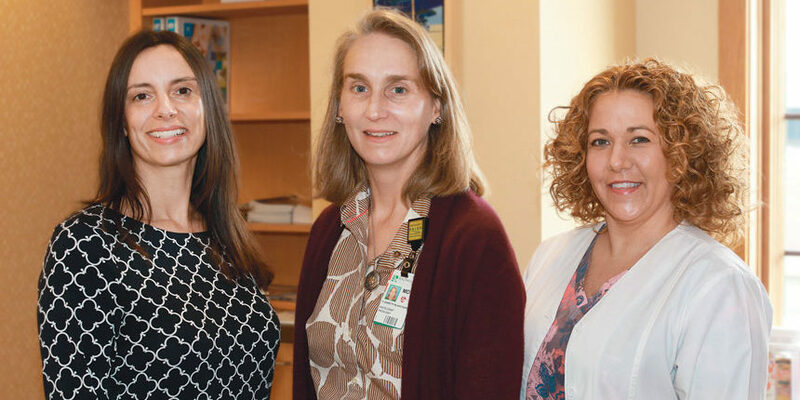 Participating in cooperative group trials with Boston Medical Center as part of its National Cancer Institute (NCI) Minority-Based Community Clinical Oncology Program (MB-CCOP) helped Southcoast establish its clinical trials program. Southcoast now focuses on pharmaceutical-sponsored and investigator-initiated clinical trials. “Both of these types of clinical trials put Southcoast in a good position to offer patients what will hopefully be the next wave of advances in cancer care,” says Dr. Blanchard. A trial sponsored by pharmaceutical companies gives Southcoast patients the opportunity to participate in trials with the latest in technology and medication. Investigator-initiated trials are Southcoast’s own homegrown trials, often focusing on supportive care. Southcoast’s relationship with the Brown University Oncology Research Group allows Southcoast to conceive and launch even more investigator-initiated trials, giving more patients the benefit of participating. Learn more about the clinical trials at Southcoast. Clinical trials are research studies in all fields of medicine. These studies are conducted in hopes of finding safe or more effective methods to screen for, prevent, diagnose or treat a variety of diseases. Participants also benefit from new treatments before they are available to everyone.